Web systems and applications are an integral part of any company, and the speed of these applications plays an important role in user experience, which can significantly affect business outcomes. Join expert Sergey Chernyshev to learn how to ensure web performance is a top priority in your organization. Over two three-hour days, you'll gain valuable hands-on experience in measuring the speed of your application and interpreting these measurements, improving performance and avoiding common pitfalls, and transforming performance from an afterthought to a core component of your creation process. You'll also learn how to better explain web performance to business partners, helping them understand the impact it has on overall experience. You're a developer with experience building frontend web applications who needs to address user experience concerns around speed. You're a business or product manager with experience creating consumer-facing web applications who wants to ensure you don’t lose revenue and customer engagement due to slow applications. You're a UX designer with a background in building rich web experiences who wants to add speed to your toolbox. Sergey Chernyshev (@sergeyche) is web performance enthusiast, open source hacker and web addict. He has 20 years of web development and operations experience and organizes New York Web Performance Meetup Group, local community of web performance geeks in New York and helps kick-start local groups about Web Performance around the world. 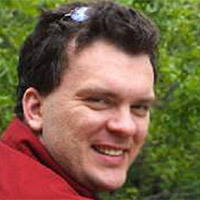 Sergey often speaks on performance-related topics at various local New York events and global conferences, including O'Reilly Velocity and QCon.